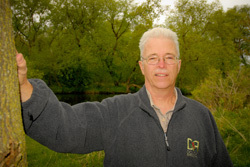 Jim has a practical understanding of natural heritage in urbanizing systems based on over 30 years of development-related experience in southern Ontario settings. He has direct involvement in more than 1000 projects including municipal natural heritage and master planning studies, assessment of natural heritage features, identification of constraints and opportunities, and development of practical strategies to preserve and enhance natural functions in urban landscapes. Jim has also taught Landscape Architecture students at the University of Toronto from 1993-2009 and at the University of Guelph since 2008.